On March 14-15, 2015, His Eminence Metropolitan Nicholas visited the community of Holy Apostle Church in Indianapolis, Indiana. 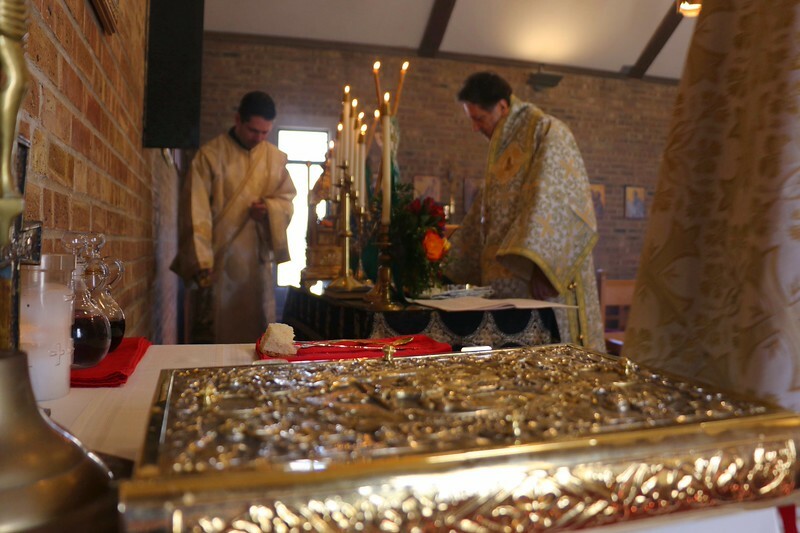 His Eminence celebrated the Hierarchical Divine Liturgy on Sunday assisted by Fr. John Koen and Dcn. Alex Radulescu. At the end of the service, His Eminence presented the community with the new Charter.